You’ve heard the stories, you’ve probably had the chance to experience it for yourself. Stag do’s and hen parties are the ultimate gateways into married life, it’s the perfect celebrating of the last few moments of unmarried life with your closest friends. An event you’ll definitely look back and reminisce. While Some prefer a more chilled approach; a detoxing spa weekend away, an offline glamping trip with scenic views and loveable activities. Stag and hen dos typically involve copious amounts of alcohol and unforgettable activities that you’ll never have the courage to do sober. Whichever way you chose to celebrate your stag or hen do, do it in style. Make it unforgettable and the perfect chance to embrace new beginnings. Here’s an exciting idea. Start off your stag or hen do celebrations by learning how to mix and blend your very own cocktail with the help of Artisans expert mixologist Ben Mehlfeld. The class lasts around two hours and you’ll learn how to make some classic cocktails, properly! From the Cosmopolitan to the Mojito, you’ll never have the need to mix a shot of Bailey’s with Campari and lime again! 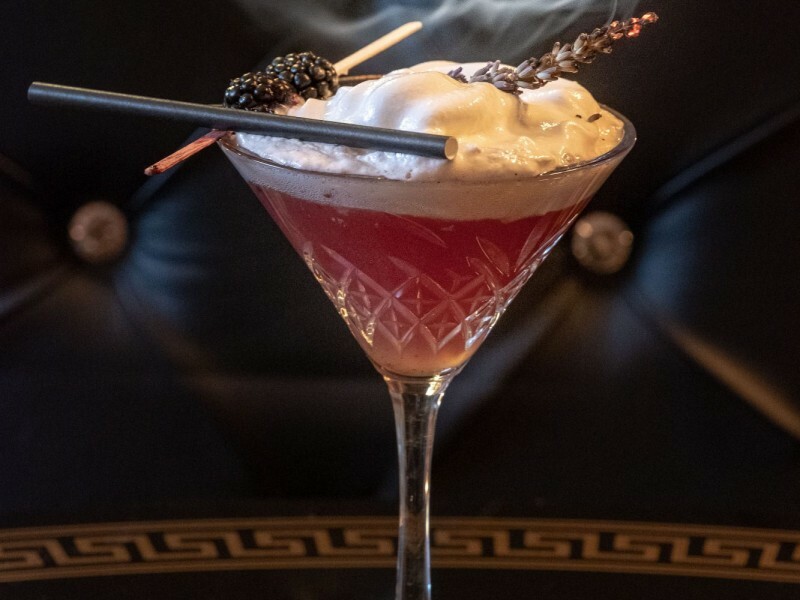 Situated at the heart of Union Street, Artisan has undergone a stunning refurbishment and it’s now a fabulously decadent gin and cocktail lounge, open to over 21s only. Inside you’ll find an elegant interior boasting stylish reclaimed materials – wood salvaged from Ryde pier, doors from a now demolished Seaview chemist and floorboards saved from other period properties on the Island. The perfect backdrop to unforgettable moments. Classes will run between 1.00pm-3.00pm or 3.30pm-5.30pm with up to 20 people taking part in each class It’s available for a minimum of 8 guests for only £26.95 per person, parties of over 8 people will require more event time so please let them know. If you have any questions or want to book this awesome experience, call Artisan on 01983 618 555 or email them at info@artisanbars.co.uk. When you decide to tie the knot, planning your dream wedding can be stressful and exhausting. It’s an intense process of elimination to which you and your partner have to come to a mutual agreement with. Grand wedding, or Small and intimate? The budget? Who to invite? Where? We’ve put together a list of three potential venues which offer versatile packages, at competitive prices with irresistible facilities; stunning backdrops, delicious food and most importantly excellent advice and dedicated help to make your big day as special and stress-free as it should be. 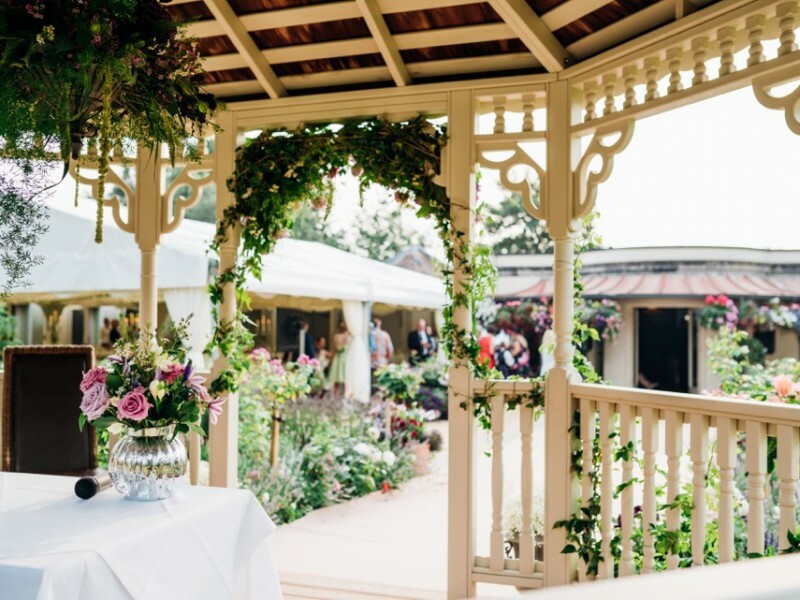 Welcome to Albert Cottage Hotel, with our ten individually styled bedrooms and a choice of licensed settings for weddings and civil ceremonies – offering you the perfect venue in which to prepare, take your vows and entertain your guests. We are able to seat up to 90 people in our stylish Consort Restaurant or up to 170 in a fabulous adjoining marquee. With service that’s of a truly ‘royal’ standard and delectable wedding breakfast & evening menus to suit your budget, we’ll even help to create a completely bespoke event if required. We’re sure you’ll find Albert Cottage Hotel a venue that’s truly fit for a Princess. To find out more about all the ways we can offer to make your wedding dreams come alive visit our website. For a free no-obligation consultation feel free to call us on 01983299309 or email our expert wedding coordinator Chris at info@inspiredislandevents.com. 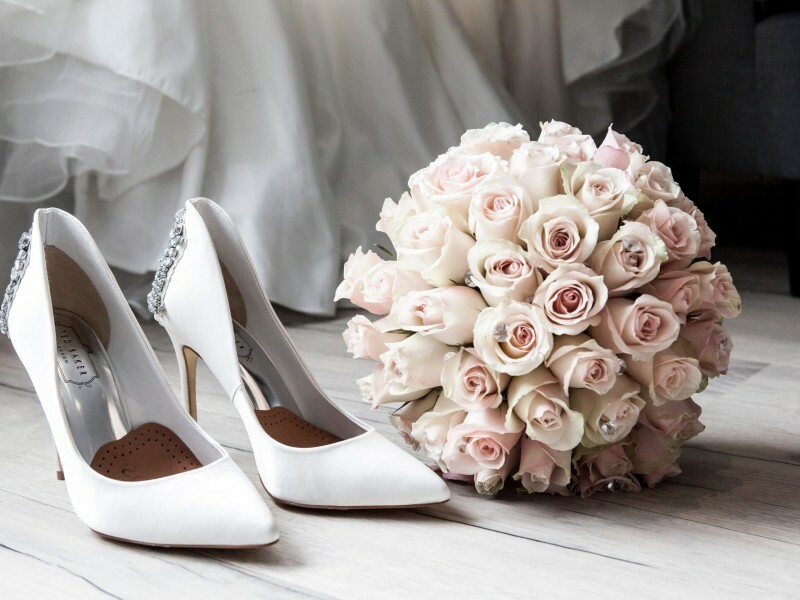 The Royal offers a range of wedding packages to cater for a variety of budgets with options including Intimate weddings and exclusive hire available all year round, plus our popular winter wedding package which provides excellent value for money. 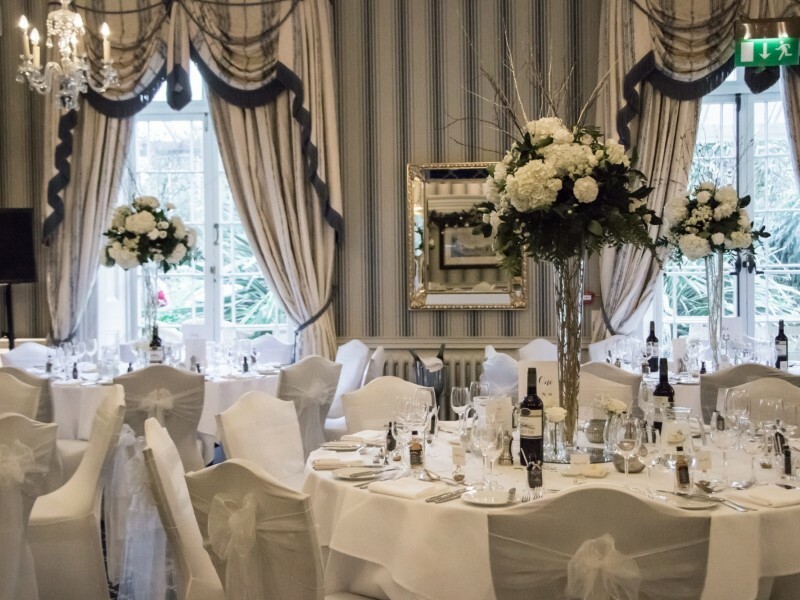 With the option between our Our Appuldurcombe room; our grandest room with high ceilings, crystal chandeliers and ornate decor, with the chance to accommodate up to 110 guests for a ceremony or 150 for a wedding breakfast. And our Albert Room; perfect for intimate weddings not lacking in glamour and romance. The room leads on to our stunning gardens and it’s in close proximity to the main bar. Our packages start from £2,195. Please visit our weddings page for more information. For a free no-obligation consultation with one of our experts ring us on 01983 852186. The Lakeside Park Hotel is the Isle of Wight’s first purpose-built 4-star hotel and provides a stunning backdrop to your wedding and wedding reception with a superb lakeside location amidst outstanding countryside. The Lakeside Park Hotel has an unparalleled selection of beautifully designed accommodation, spa & beauty treatment facilities and fine dining options for your wedding reception in our A La Carte Restaurant, Conference Suite and Marquee. We’re able to comfortably accommodate up to 180 guests for an evening wedding reception or party. Prices start from £3750.00 for an all-inclusive wedding package. Find out how we can make your day even more perfect, visit our website or contact one of our experts on 01983 882266 for a no-obligation consultation for free.